Fana was founded by designer and creator Bobby Jain who set to create fine jewelry that women could wear daily. The Fana engagement ring style is influenced by the modern aesthetics of 21st century architecture and Jain’s intuitive creativity. Fana’s fresh look is outlined by fluid lines and smooth silhouettes. These pieces are selectively handcrafted to reveal the acute beauty of the brand’s signature stones: royal rubies, extraordinary emeralds, sensational sapphires and dazzling diamonds. A woman who wears these designs is a sophisticated, modern, and elegant lady with a sense of personal style that doesn’t start or end at any particular time of day. 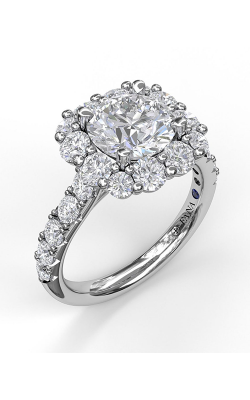 We here at Long Jewelers carry a large variety of Fana engagement ring collections: Classic, Designer, Halo, Vintage, and Antique. The Classic collection offers timeless silhouettes created by fusing classic sophistication with modern glamour. The Designer collection offers a feminine yet luxurious look, with intense sparkle and radiance bezeled in exquisite designs. If luxurious and extravagant isn’t for you, the Halo collection is your perfect fit. The collection offers simpler and sleeker bands and a commanding diamond in the center offered in various shapes including oval, round, and pear-shapes. The Vintage collection provides an heirloom quality to its rings that can be passed along from generation to generation. Finally, the Antique collection offers an eye-catching design and pronounced size. 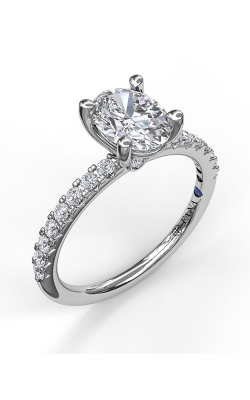 Located in Virginia Beach, Virginia, Long Jewelers not only offers all collections of Fana engagement rings, but we also offer quality customer service and care. Our showroom is conveniently located near Norfolk, Virginia Beach, Chesapeake, the Greater Hampton Roads Area, and the Tidewater Area. Providing quality customer care for over 30 years, we have provided a showroom full of designer wedding bands, engagement rings, and other fine jewelry items and timeless pieces. Under the committed leadership of our first founder and current president David Long, our retailer has become the largest jewelry showroom in the state of Virginia and has been featured in magazines like Town & Country. David Long, an award winning designer himself, oversees five full-time jewelers: a C.O.S.C. certified master watchmaker, a team of G.I.A. graduates and an actual diamond cutter. For questions concerning products, sales, services, or onsite jewelry repair, you can visit longjewelers.net, or call (757) 498-1186 for more information.